I guess it was worth adding the "2012" to that last string of keywords to make sure you didn't get a beauty from 2011, but as you can see this top-5 list reads; beauty, beauty, beauty, beauty and I need to make sure I find current beauty. 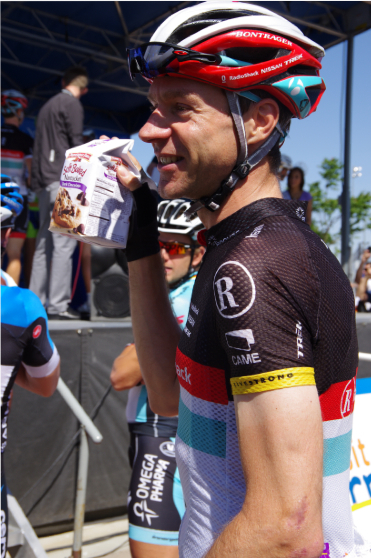 I admit I was not totally surprised to see the search for Podium Girls so I prepared for your curiosity. Images of the 2012 Amgen Tour of California Podium Girls, or for those of you who are politically correct googlers, their official title was Michelob Light Ambassadors. 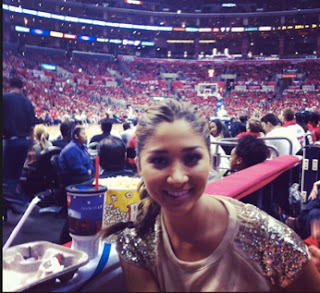 Joanna is from Los Angeles and Allison lives in San Diego. They have worked together before, they are both Umbrella Girls (a premier modeling agency catering to executive, sporting and special events). I asked them if they applied for their podium positions, but they said they did not, the modeling agency they work for placed them in the highly visible job. I said, "this is great coverage for you because the race is televised internationally." "We know," they responded, "it will be seen all over the world." They were excited to be selected for the tour. They told me they happily signed for the entire week. 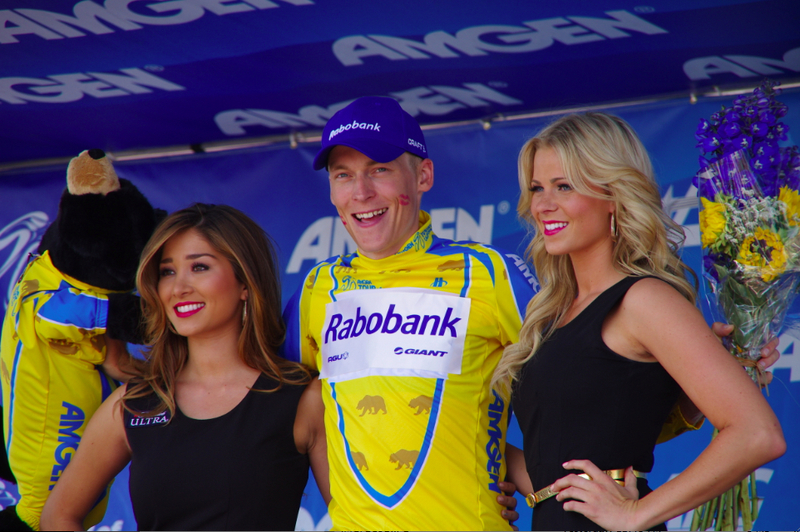 They were the only two podium girls for the entire ATOC in 2012. We the fans had gotten used to seeing Jenn, the Podium Girl from the last couple of years, but this year there were suddenly two new faces up on stage. Day after day Joanna and Allison traveled to, and then waited at, the finish area ready to change into their simple black cocktail dresses, hop on stage and begin smiling. Their lipstick application seemed to get heavier as the race proceeded south. Mostly they seemed to manage the flow of presenters and riders on the podium. Apparently this is what Podium Girls do after a stage race is over - with Ted King (of I am Ted King) (left) and Peter Sagan (right) enjoying a drink in the L.A. Live Center in Los Angeles after their jobs were complete. Later it appears they scored tickets to the big game. For the Tour de France over 500 girls apply every year for the opportunity to be a Podium Girl. Most of them have previous modeling experience but after a tough elimination round with qualifications and interviews, only 4 podium girls are selected to present the maillot jaune (yellow jersey) every year. It is a tremendous honor and fantastic for the model's resume. Other girls are selected to present the polka-dot, green, and white jerseys. The Podium Girls in France do far more than direct stage traffic and deliver moist lipstick kisses. They work behind the scenes and along the roads in various roles. The Aquarel sponsored white jersey women can be seen handing bottles of water from the caravan to hot fans waiting along the route. The PMU sponsored green jersey women dance on the moving float during the caravan procession. Can you imagine trying to do your hair and makeup after hanging onto a pole racing along a winding road in the Pyrenees? The Champion sponsored polka-dot women provide simple meet and greet duties. But it is the crème de la crème - the Credit Lyonnais sponsored yellow jersey women who hang with celebrities, assist with racer sign-in and podium award kisses while managing those high heels across cobbled roads, dirt lots, up steel stairs and on top of wobbly podiums. They also somehow manage to make a large stuffed animal appear to be a totally normal thing to hand to a grown man, let alone smile while being sprayed by champagne. I wait every year to see what those girls will be made to wear by French fashion designers - it can be hard to pull off a red and white polka-dot dress; something I am not ready to try. *Fan Trivia: George Hincapie met his French wife Melanie Simonneau in 2003 when she was a yellow-jersey Podium Girl for the Tour de France. A couple of beauties outside a restaurant on Rodeo Drive in Beverly Hills before the start of Stage 8. No need to screen 500 girls, just walk down Rodeo Drive, many wannabe actresses and models are working inside every shop and cafe. 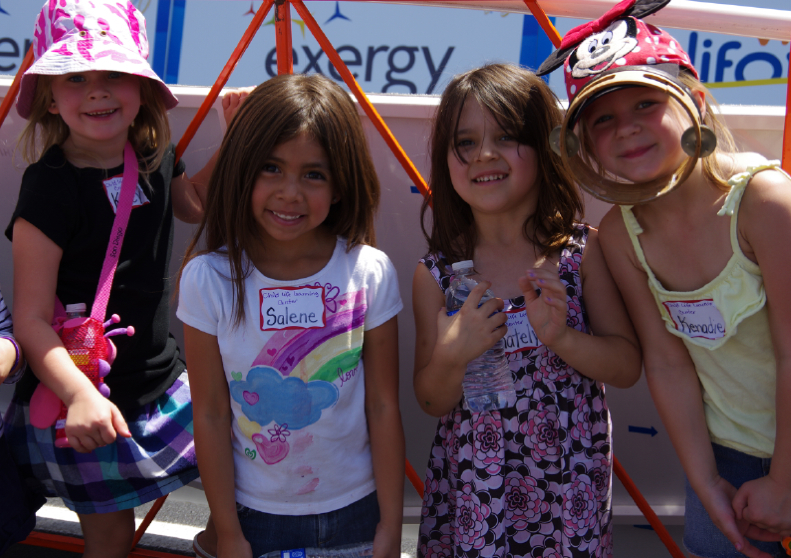 And more beautiful smiles from these young fans in Bakersfield. They were there to learn about cycling! I wish I had photos of Mario Cipollini to offer you, but it has been some time since I have laid my eyes upon that beauty at a bike race. For those truly interested in the beauty of Italy: 2012 Giro d'Italia Route Presentation, we still have 1 more week of the Giro left to enjoy. Do you want to see the Specialized Venge? I have photographed and written much about that beauty of a bike. Now can I get back to my kind of beauty? 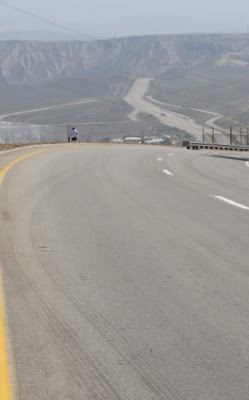 This was the riders' first glimpse of the Individual Time Trial course that lay ahead of them on a hot day. Now we're talking beauty. 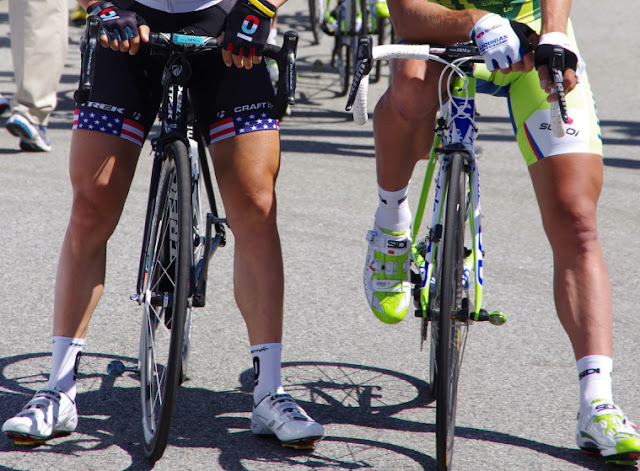 The legs of American National Champion Matthew Busche (L), next to the legs of Peter Sagan (R) the winner of 63% of the 2012 Amgen Tour of California. And one for the young female fans, imported from Germany - 24-year old Marcel Kittel (Argos Shimano). If you are wondering what my opinion was over Peter Sagan's offense to the podium girl at the 2013 Tour of Flanders, believe me I had an opinion, read: Beauty is a long tradition. My brother Mike's comments was - "what now we are going to tell a 22-year old bike rider how to behave?"